Here is a picture just taken of Slim! I have to say he is such a cutie! 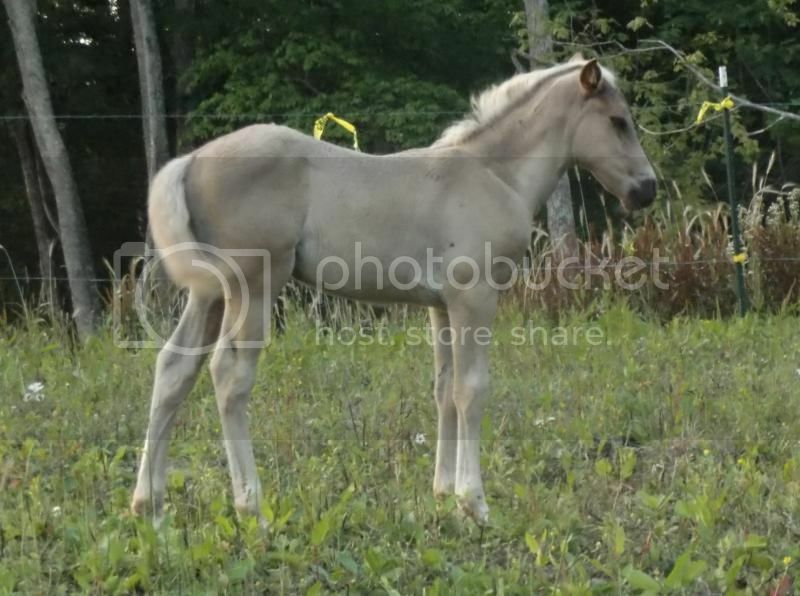 He is really a good looking colt! Thanks everybody! He is definitely a looker and is becoming more friendly with me than he used to be. He is quite attached to his mom but will leave her to play with our other foal.